My approach to modding Fallout 4 is laid-back: I want to make the game better, but I don’t want to fundamentally change it all that much. I haven’t actually “finished” the game yet, by which I mean I haven’t seen the main narrative questline through to its conclusion. I lost interest in the story soon after finding The Institute, and these days I mostly just wander the wasteland shooting things, min/maxing my stats, and trying out new mods. I’m keeping things fairly chill, especially at first. It’s par for the course for me and Bethesda games: I don’t usually install world-changing mods; I avoid “beautified” mods that add ENB injectors and more colorful textures to everything; I don’t use mods that dramatically overhaul NPC behavior or add new characters. These mods are all easy to find on the Fallout 4 nexus. Here they are, with a few thoughts on each. We’ve written about this mod on its own, and I’ve had it installed since shortly after our initial article went up. 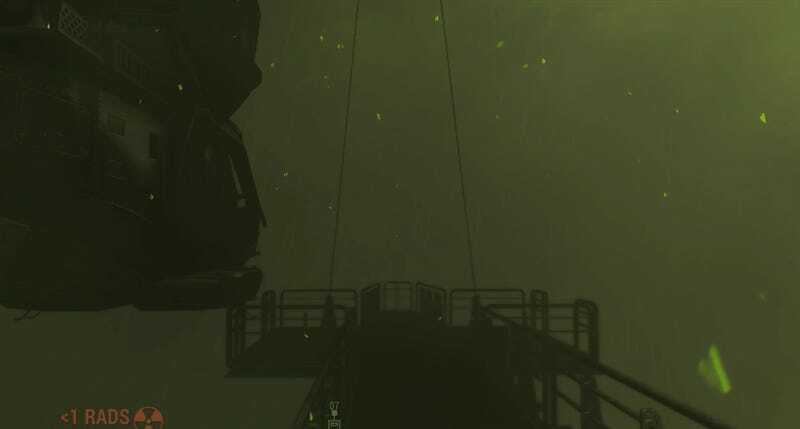 True Storms makes storms and other weather in Fallout 4 more frequent and more intense, and completely overhauls how radiation storms look and function. It’s the most dramatic mod I have installed, and I’m a fan. I don’t love how Fallout 4 looks in general, but it looks much better with more dramatic weather effects. 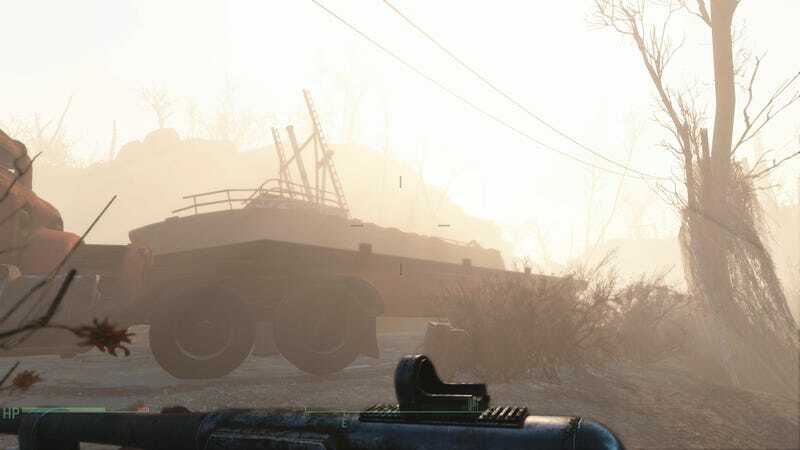 That’s partly because the game’s blah-textures and visuals are obscured by the new effects, but also because Fallout 4’s most evocative visuals involve huge buildings looming out of fog and dust, beckoning you to explore. This mod is almost humorously chill, which is what I like about it. 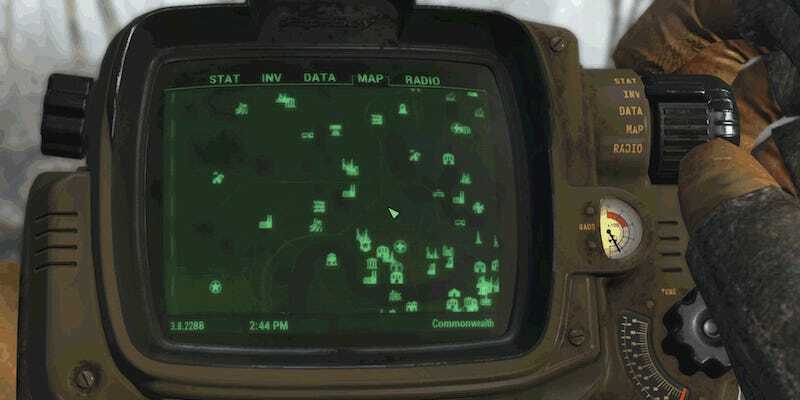 It slightly updates the map with a more readable grid and more visible roads and pathways, which makes it easier to plot a course across the Commonwealth Wastes. These days I like playing Fallout 4 without having any notifications on my HUD, relying entirely on my pip-boy for navigation. This mod makes it easier to do that, because I can see which roads run where, which makes it easier for me to plot a course. It’s not a dramatic difference, but it’s still surprisingly useful. Here’s about as un-dramatic a mod as you can get: The entire purpose of this mod is to put your guns into a “ready” or “patrol” stance when you’re not actively aiming at something. At first it feels a little weird, probably because we’ve become so used to playing FPSes where our character walks around pointing their gun at everything all the time. Give it an hour, though, and it starts to feel much more natural. 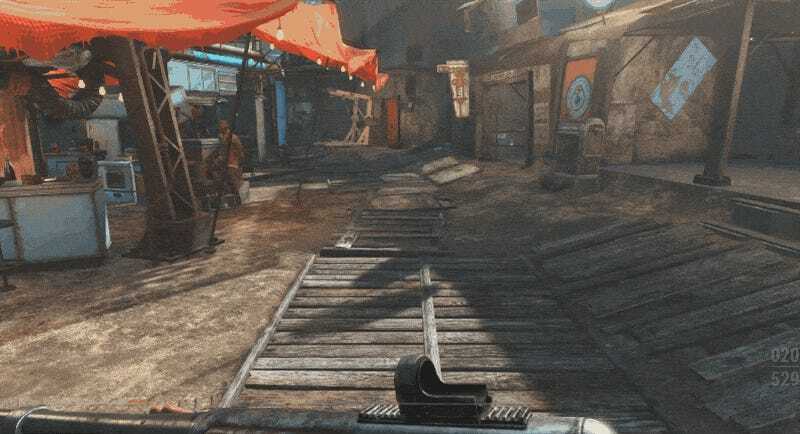 This mod provides an interesting, likely unintentional commentary on the popular criticism that Fallout 4 is more shooter than role-playing game. Sure, you explore in this game, but you mostly just seek out new places to shoot things. The lowered weapons mod at least suggests a Fallout 4 where exploration is the default, and shooting comes second. This mod does what the title says: it makes Fallout 4’s nights darker. These mods have always been popular for Bethesda games, but I actually haven’t always used them. I’ve really been liking this one, though, as I’ve pushed toward making Fallout 4 more immersive and difficult for myself. The mod makes it clear just how bright Fallout 4’s vanilla nights are, and pairs well with the weather mod to make a nighttime thunderstorm a dark, beautiful thing. Another one I’ve written about on its own, FDI changes Fallout 4’s often frustrating dialogue system to more accurately reflect the actual words your character is about to say. It dramatically changes the feeling of conversation, to the point that I wish I’d had it installed from the very start. Of course, FDI doesn’t change the fact that the majority of dialogue choices in Fallout 4 are false ones that lead to the same preordained outcome, but all the same it makes the game feel much more like an actual role-playing game. Feeling isn’t the same as being, but it’s still an improvement. Those are the five mods that I’ve been using consistently for the last little while; I’ve yet to go deeper on popular recent mods like Armorsmith Extended or all those clothing mods Patricia recently wrote about. I probably will at some point, but for now, for me, low-impact Fallout 4 modding is the way to go. If you’re playing Fallout 4 on PC, which mods have you been using, and how do you like ‘em? Sound off below.